Yesterday, Microsoft announced the launch of a new tablet product named “Surface” which weighs in at 1.5 pounds, measures 9.3mm thick, and comes housed in a magnesium case. The Surface display size is comparable to other tablets at 10.6-inches (16:9 widescreen HD), but boasts the use of Corning Gorilla Glass 2.0. 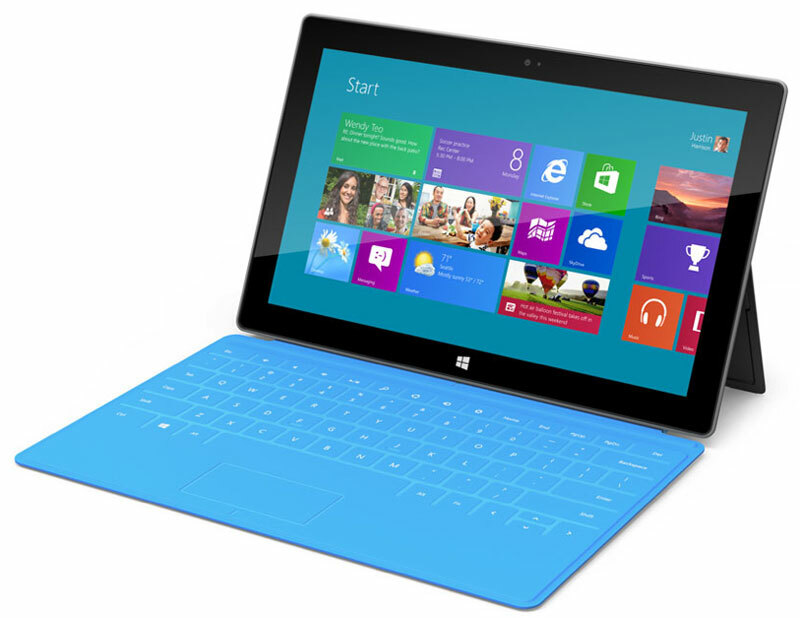 The tablet comes with either the Windows RT or Windows 8 Pro operating systems, configured with 32GB or 64GB memory (Windows RT) or 64GB or 128GB (Windows 8 Pro). The most innovative element of the Surface may be the removable touchpad/cover, which features a 3mm thick multi-touch keyboard and trackpad (see detail photo below). If you’ve experimented with different iPad covers, the Surface cover works like Apple’s magnetic hinge “Smart Cover” with the added functionality of a keyboard. 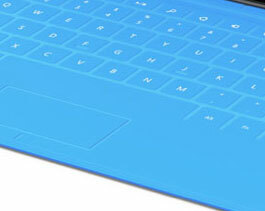 Microsoft says the Surface is “coming soon.” No MSRPs were revealed.